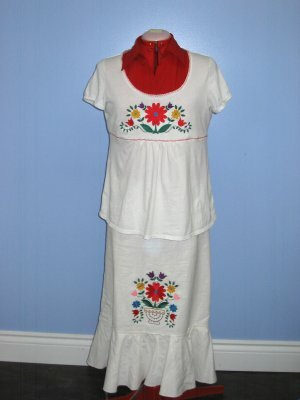 The name of this new collection is about Mexican joy or at least the original inspiration for this new baby of mine was traditional Mexican clothing. 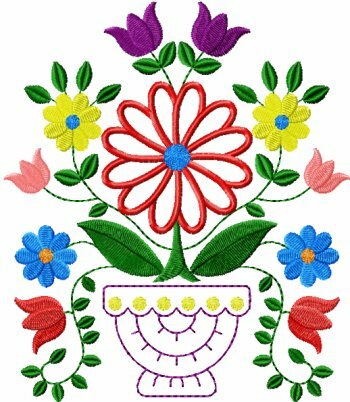 Looking at the designs brings me joy... thus the name Alegria. 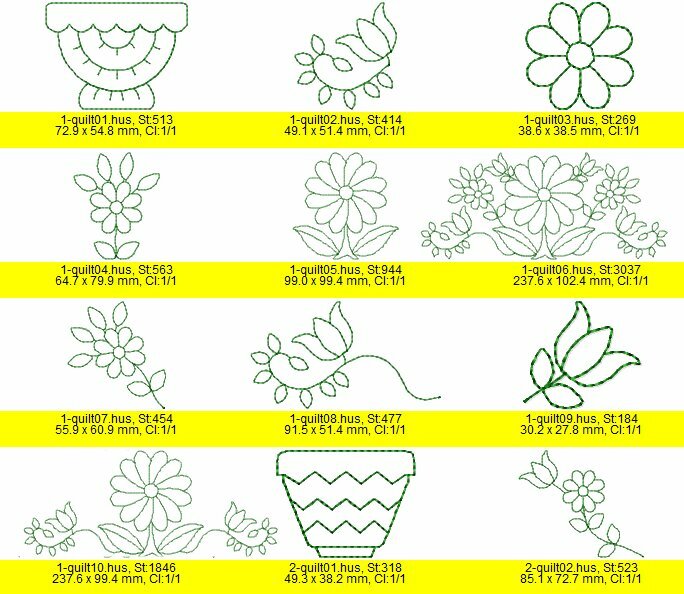 You'll find in this collection over 20 floral designs that can be mixed & matched together to create an infinite number of variations and your very own floral arrangements. 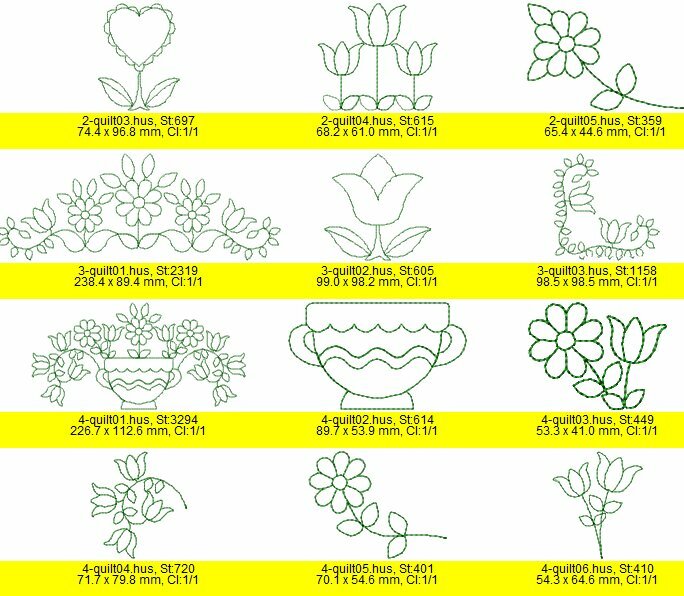 For your immediate pleasure, 24 combinations that have already been put together are included. 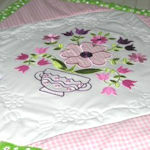 4 main blocks are included in 3 sizes each, 8x8, 6x6 and 4x4. 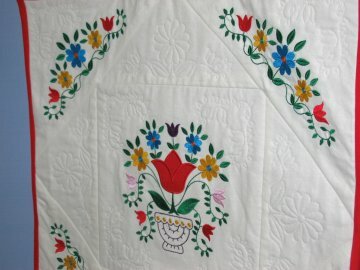 There are 4 HUGE yokes, 4 huge corners and 4 huge border designs. 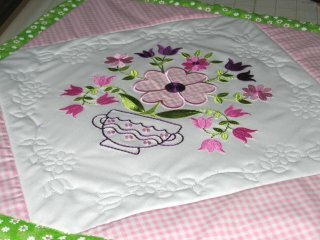 The possibilities are truly endless when you add to the above 24 quilting/redwork designs plus 30 individual designs. 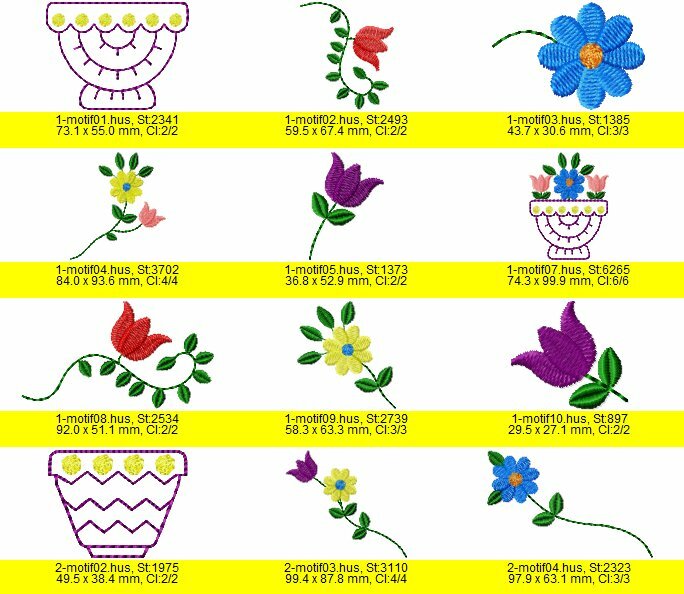 What is especially fun about this collection though is that even if you have only a 4x4 hoop, you can EASILY replicate those huge designs by doing a few more hoopings. 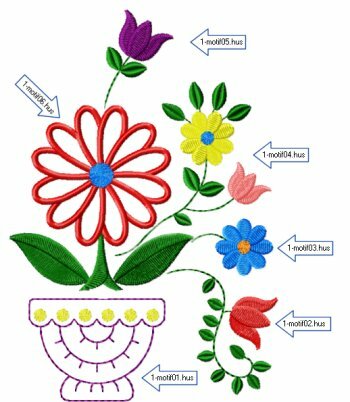 You are basically getting the embroidery results that one would get in a big hoop, except that you are using a small hoop. 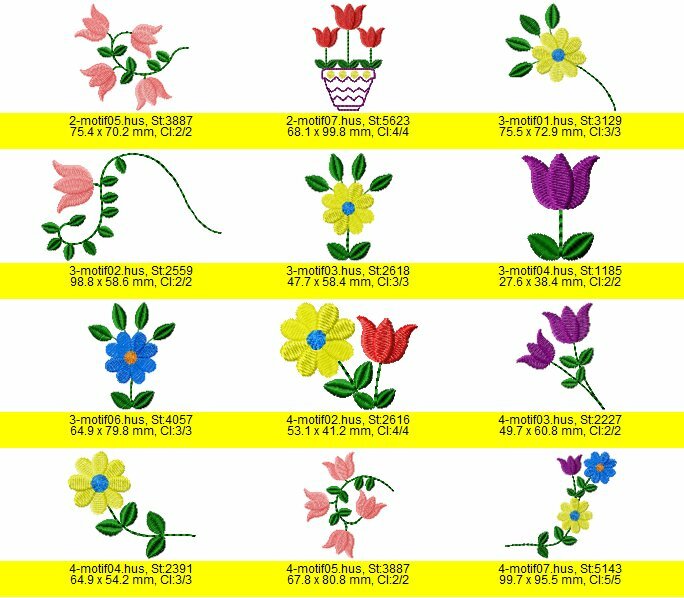 I say Easily because embroidered flower arrangements don't require exact precision to be amazing, pretty much like the real life arrangements. 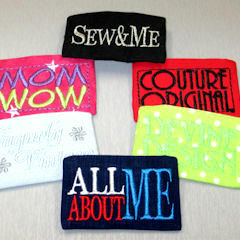 all wrapped up in one collection. 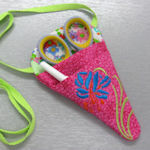 They can be used individually in a wide array of projects or together to create out of this world and incredibly amazing ensembles, making this collection a VERY good investment. 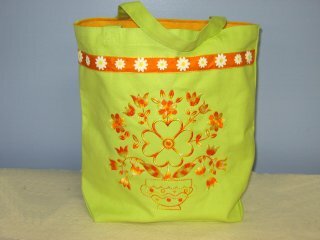 A basic $3.00 tote can easily be transformed. 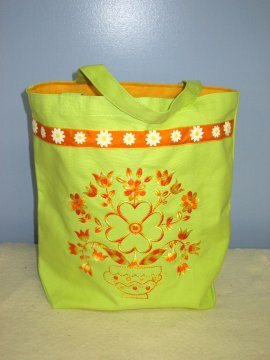 All done in one color with variegated thread. 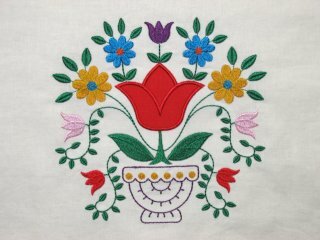 decorative stitches on my machine. 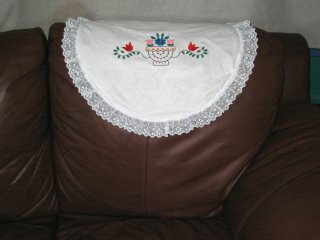 into a beautiful doily for the couch. 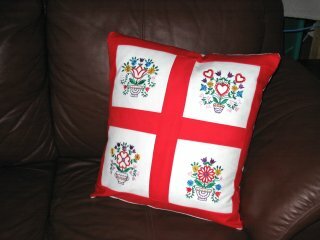 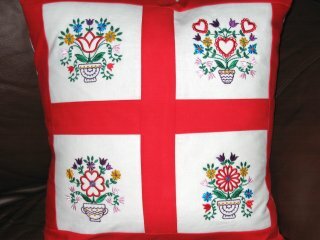 Here is a matching pillow for the wall hanging. 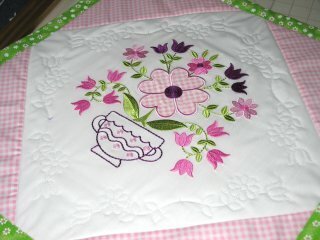 The use of the 4x4 block designs made it really easy to do. 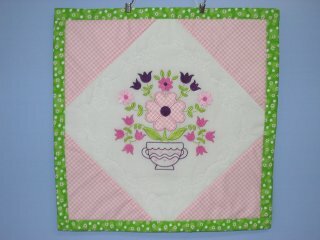 back of the wall hanging makes it reversible. 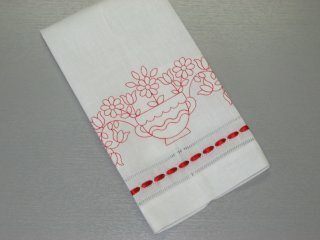 redwork designs make for dashing results. 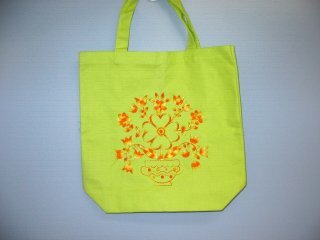 The stitch out was reduced to 4 colors. 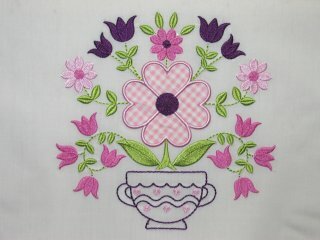 What wouldn't a Princess do for one of these? 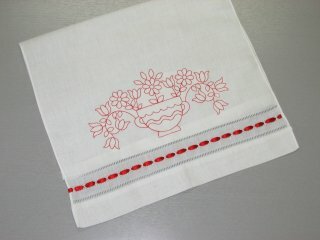 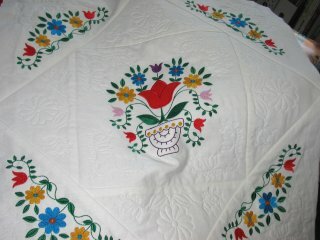 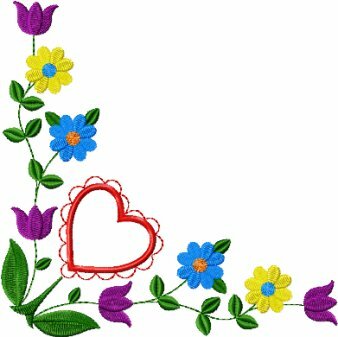 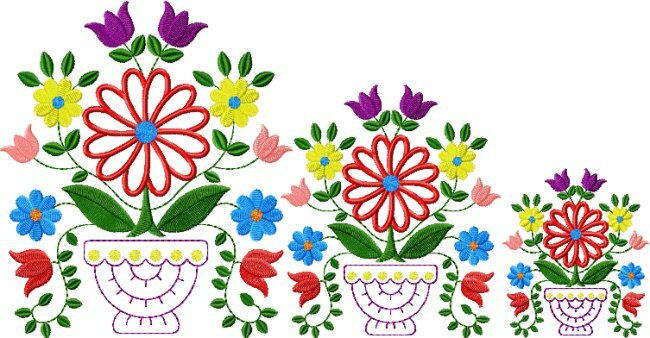 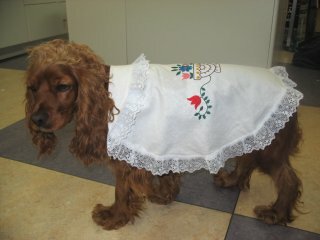 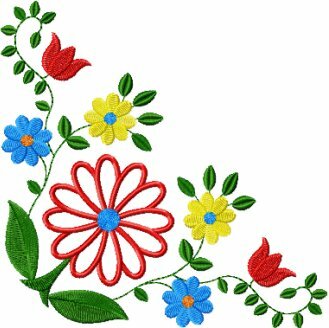 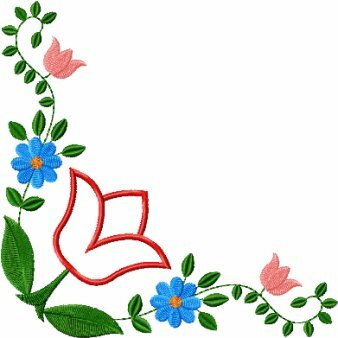 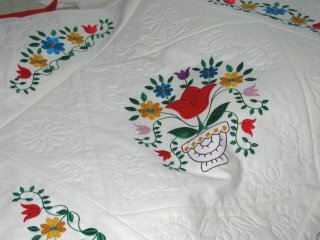 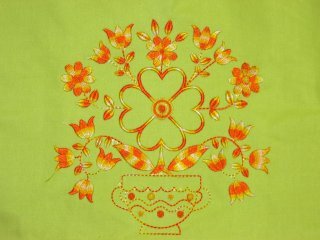 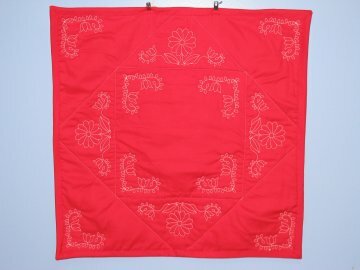 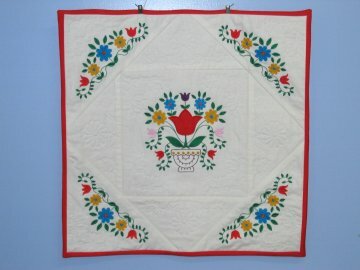 Note that the center red flower can be stitched as an appliqué design or stitched as an outline.